The Humana Day and the corresponding delivery of the VII Textile Reuse Awards will take place in Seville on November, 10. The event will be held at the Casino de la Exposición, starting at 6 pm. The event mainly be attended by representatives of municipalities and public and private entities in Andalusia who collaborate with the Foundation. 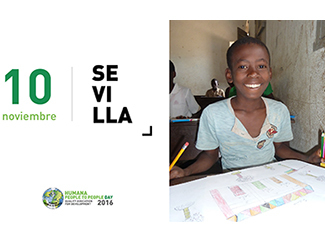 The seventh edition of Humana Day is dedicated to the importance of promoting quality education for the development of the most disadvantaged communities in the southern hemisphere. Education is a key element in the fight against poverty and the development of communities and people. Sustainable Development Goal number 4 is devoted to education and its main objective is "to ensure and promote lifelong learning opportunities for all". Through the Foundation awards it recognizes and appreciates the cooperation of citizens, municipalities and companies in the field of reuse and recycling of used clothing and development cooperation.